The EU's proposed 'temporary' digital levy has been fiercely opposed by Ireland and several other member countries. 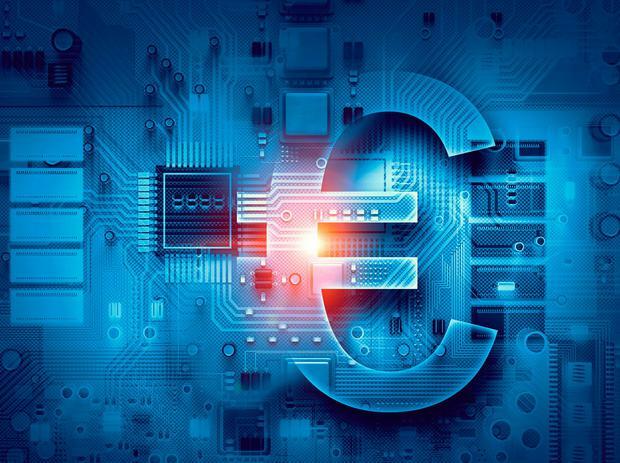 Last Wednesday, the EU Commission published proposals on digital taxation which it said would "ensure that all companies pay fair tax in the EU". 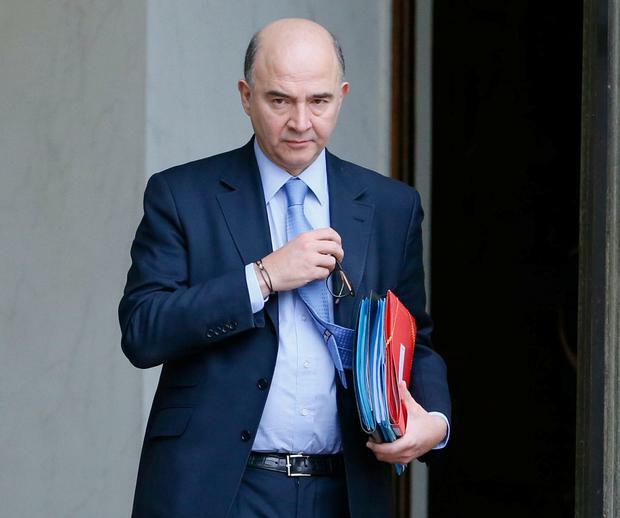 Unveiling the proposals, EU Economic and Financial Affairs Commissioner Pierre Moscovici said: "The digital sector is booming. It is fast catching up with the EU traditional economy. But tax rules have not kept pace. Many digital companies benefit from public services without paying their fair share." The centrepiece of the Commission's proposals is the imposition of a "temporary" 3pc levy on digital companies' sales on sales of online advertising, "digital intermediary activities… which can facilitate the sale of goods and services" and the sale of data from user-provided information. However, in order "to ensure that smaller-scale startups and scale-up businesses remain unburdened", the levy will be restricted to companies with annual global revenues in excess of €750m and EU revenues of €50m. Looking at the Commission's proposals, it is difficult to resist the conclusion that the levy has been custom-designed to ensnare US online giants such as Google and Facebook. That was definitely US Treasury Secretary Steve Mnuchin's take on the Commission's proposed levy. "The US firmly opposes proposals by any country to single out digital companies," said Mnuchin. "Some of these companies are among the greatest contributors to US job creation and economic growth." Mnuchin was not alone in opposing the proposed digital levy. Ireland, along with nine other EU member countries, has also come out against the levy. Virtually all of the companies likely to be affected by the levy have significant Irish operations - and pay a lot of tax in this country. An estimated 80pc of the €8.2bn collected in corporation tax last year, over €6.5bn, came from multinationals with the companies targeted for the EU's digital levy being among the biggest payers. Losing even a fraction of this revenue would have serious implications for the Irish exchequer. Feargal O'Rourke, managing partner of accountants PwC, estimates that the levy could cost Ireland between €200m and €400m a year. That could potentially turn out to be the tip of the iceberg. As the Commission announcement makes clear, the digital levy is merely an interim step until more permanent arrangements to tax digital companies can be put in place. The Commission wants to "reform" the taxation of digital companies "so that profits are registered and taxed where businesses have significant interaction with users through digital channels". This, it says, "forms the Commission's preferred long-term solution". "The core issue is that the Commission's proposals move away from the principle of taxing where value is created to taxing where it is consumed," says Ibec director of policy Feargal O'Brien. "If they accept this principle, then why should it be confined exclusively to digital companies? This potentially creates problems for other countries such as Germany. While cars may be produced in Germany, they are consumed in other countries such as China. This [the digital levy] is a really bad idea." In the light of Mnuchin's comments, O'Brien also believes that the proposed digital levy will not be good for what he describes as the "challenged" EU/US trade relationship. While Ireland's opposition to the Commission's digital taxation proposals is hardly a surprise, the status quo is not an option. Not alone is the rise and rise of the digital economy transforming how we live and work, it is also rapidly undermining national taxation systems. "Part of the problem is that we have a taxation system designed at the start of the 20th century trying to cope with an economy designed at the start of the 21st century," says PwC's O'Rourke. Figures released by the Commission demonstrate the scale of the problem. While only one of the world's 20 most valuable companies was digital a decade ago, now nine of them are. This proportion is almost certainly going to increase even further as annual revenues at multinational digital companies are increasing at an average rate of 14pc as against just 0.2pc at other multinationals. However, digital companies pay much lower taxes on their profits, an average rate of just 9.5pc, as against the average 23.2pc rate paid by non-digital companies. Already several countries have "jumped the gun" and introduced special measures to try and wring more tax out of digital companies. In 2014, then UK Chancellor of the Exchequer George Osborne unveiled a new diverted profits tax, aka the Google tax, which introduced a higher 25pc tax rate on UK profits ruled to have been artificially diverted to low-tax jurisdictions. Australia quickly followed the British example and introduced its own Google tax in 2016. Meanwhile Italy has brought in a levy on digital transactions, which comes into force next year. France has a tax on the online distribution of audio visual content and Hungary imposes a 5.3pc levy on all advertising. It was partly to prevent digital taxation degenerating into a national free-for-all, with individual member countries introducing their own mutually-incompatible measures, that the Commission unveiled its own proposals last week. With soaring digital profits rapidly eroding national tax revenues and the looming threat of international tax anarchy as every country grabs what it can without regard for its neighbours, what can be done to bring European and global corporate taxation into the online era? The opposition of the Irish Government notwithstanding, does the Commission not have a valid case in seeking to reform digital taxation? "Any solution has to be internationally based. If we stick with the OECD we have a better chance of success," says Fine Gael MEP Brian Hayes. Earlier this month, the OECD produced its interim report on digital taxation in which it warned against countries introducing their own interim digital taxes. "There is no consensus on the merits of, or need for, interim measures, and that a number of countries consider that an interim measure will give rise to risks and adverse consequences irrespective of any limits on the design of such a measure," according to the OECD. Translated from diplomatese that can be read as a clear warning to individual countries, and the EU, not to press ahead with their own digital taxes without an international agreement. Given that most of the largest digital companies are US-based, an international agreement on digital taxation that included the United States would almost certainly be preferable to a patchwork quilt of national or EU digital taxes. Fortunately, the OECD has a good track record in securing international agreement on tax. Since 2012 its BEPS (base erosion and profit shifting) project has been gradually ironing out the wrinkles that have allowed multinationals, including the major digital companies, to play individual countries off against one another and reduce their tax bills. The OECD is due to deliver its final report on digital taxation within about two years. "The OECD is saying 'we have a track record, give us two years'. That will get a lot of buy-in", says O'Rourke. "Two years in tax terms is a short time." While the opposition from Ireland and other member countries is likely to stall the Commission's digital levy for the time being, there is little doubt but that major changes are coming in digital taxation and that these changes will almost certainly not be to Ireland's benefit. "Some profits now captured by the host country will be transferred to the customer country. There will be some loss to Ireland," says O'Rourke. Hayes believes that while we are waiting for the OECD to produce its final report, Ireland must work with other member countries to modify the Commission proposals. "We need to be at the table. We need to be coming up with better proposals. The EU must not throw out the baby with the bathwater."